Bluegrass Pundit: Like Going to Any Doctor You Like? Get Over It! Obamacare is here. Like Going to Any Doctor You Like? Get Over It! Obamacare is here. Insurance company Harvard Pilgrim Health Care is canceling their Medicare Advantage plan that covers 22,000 seniors in several northeastern states. Why might you ask? New rules forcing plans to have networks of doctors is one reason. 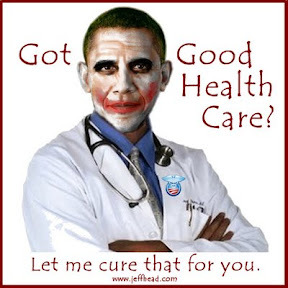 Welcome to the brave new world of Obamacare. This is only the beginning. Name one thing the government ever improved by their meddling.